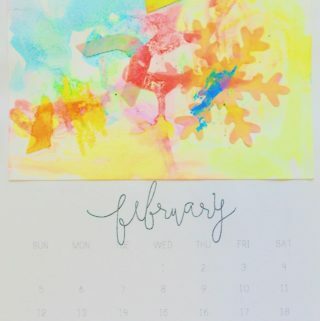 We are so excited that spring is coming! We can watch as the arriving spring birds make their nests in our backyards and see the first flowers growing. 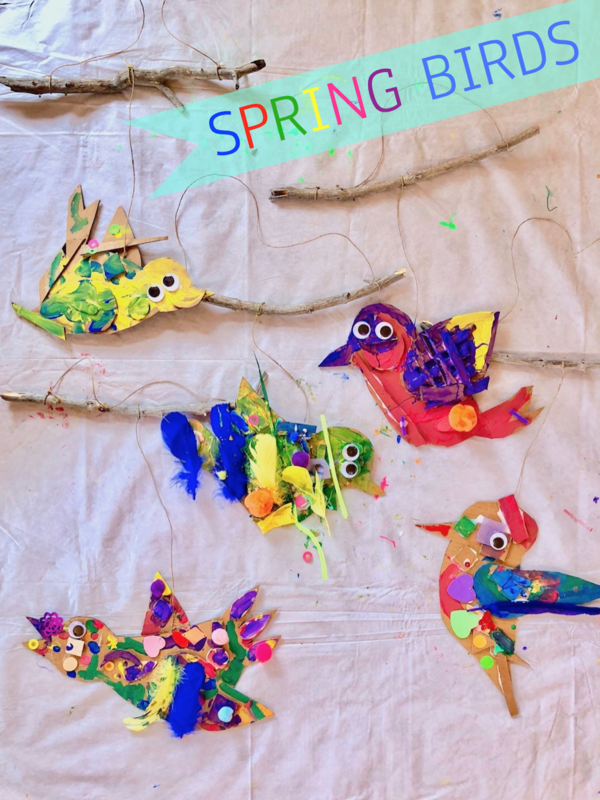 To make our own spring birds and building a nest to play in is always a highlight for younger children and stays one of my favorite art activities to welcome spring. 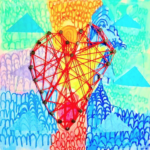 Art activities that encourage play foster skills in many essential developmental areas. 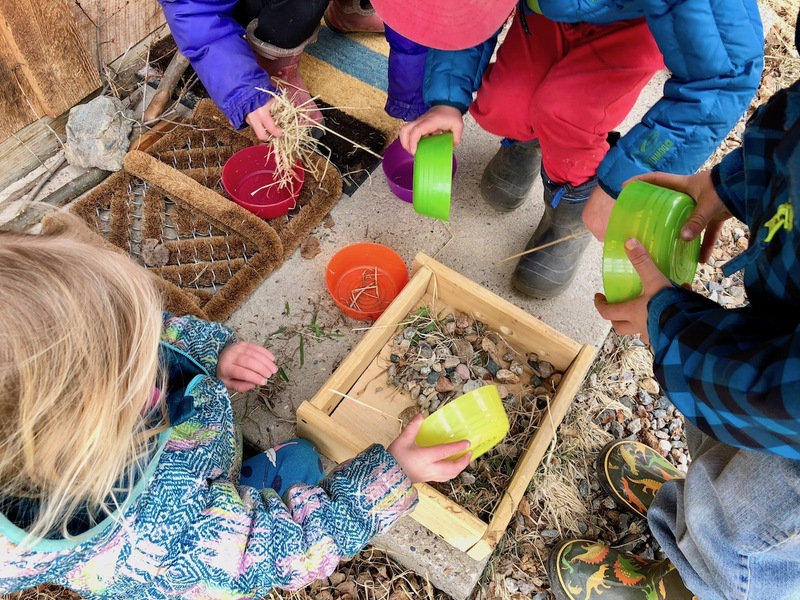 Younger children learn and make sense of their world by doing and imagining. 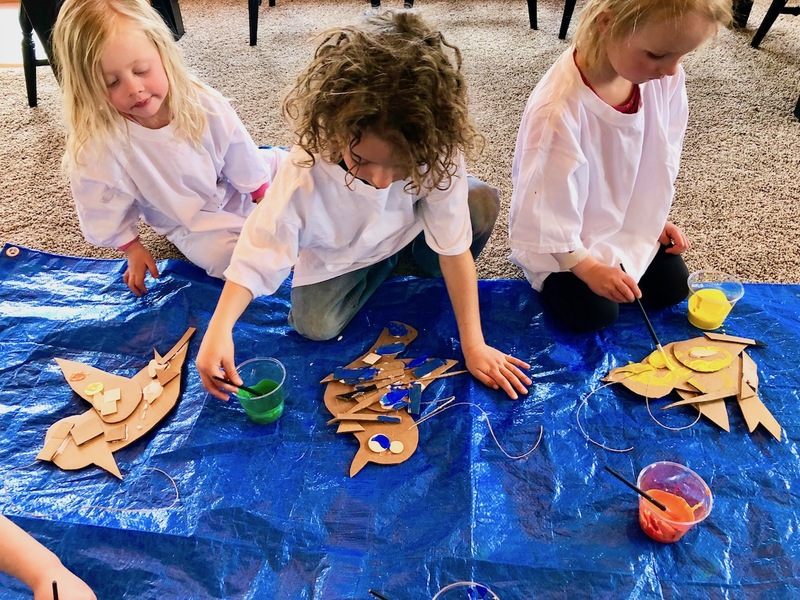 Engaging in make-believe play not only nurtures their imaginative thinking skills but supports their social-emotional skills, creates opportunities to experiment with different roles in their group dynamic, strengthens problem solving abilities, practices empathy, sharing- and language skills as well self-regulation abilities. 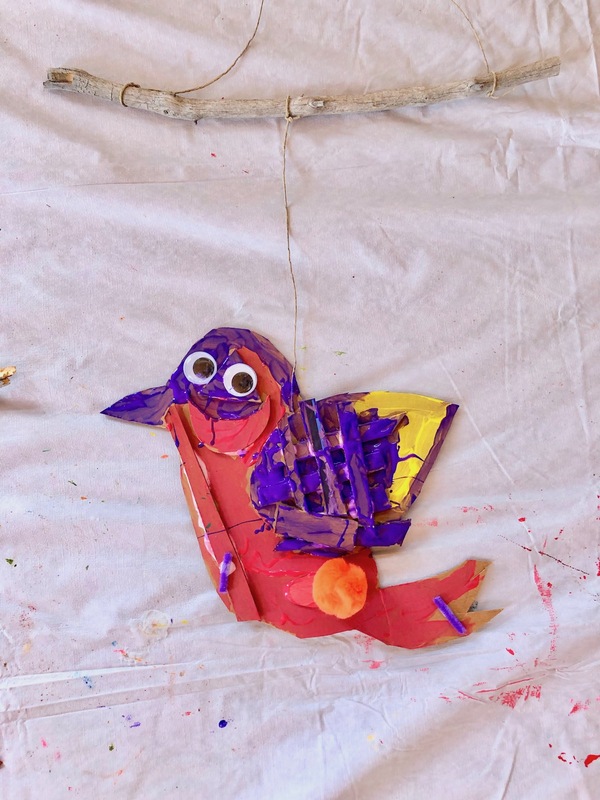 It’s amazing what the children have learned, know and wonder about birds. 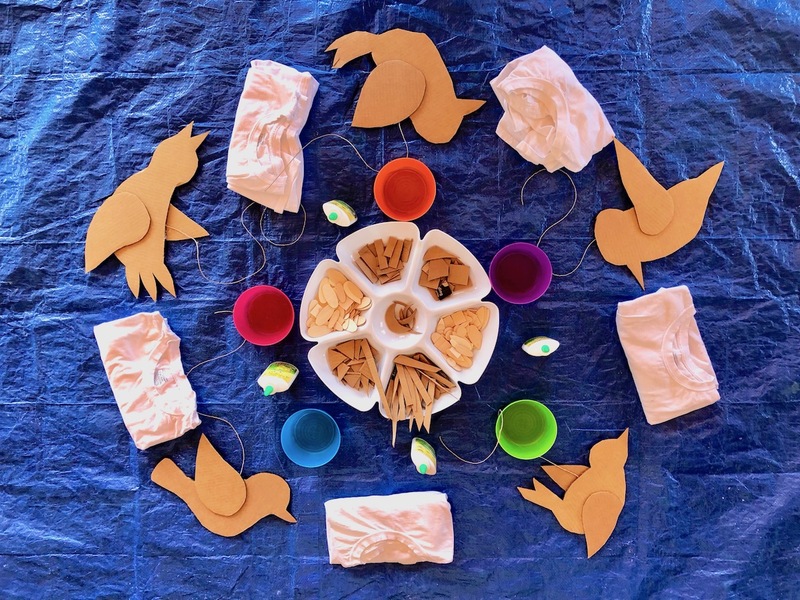 Creating our own birds or building a bird’s nest is just one idea to support this wonderful process of learning and connection to the seasons. 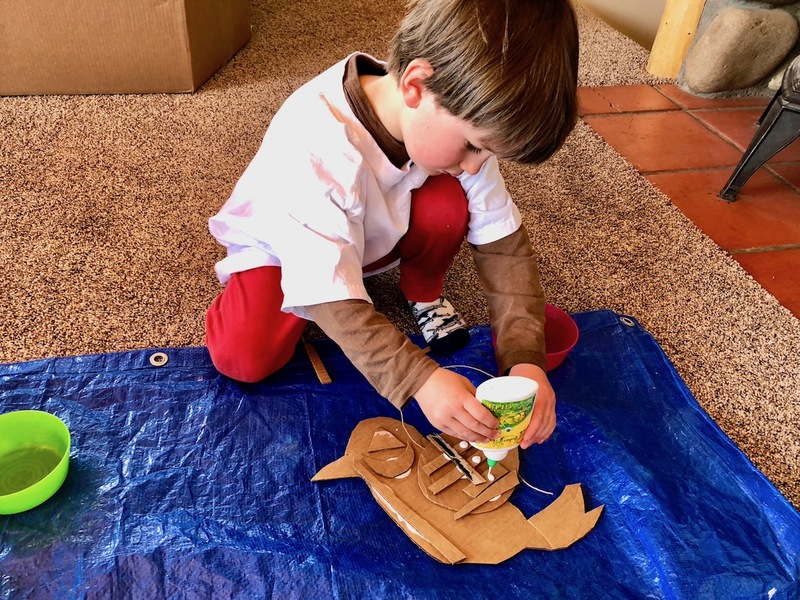 On a tarp or table set out the precut cardboard bird shapes as well as a tray with smaller cardboard shapes. 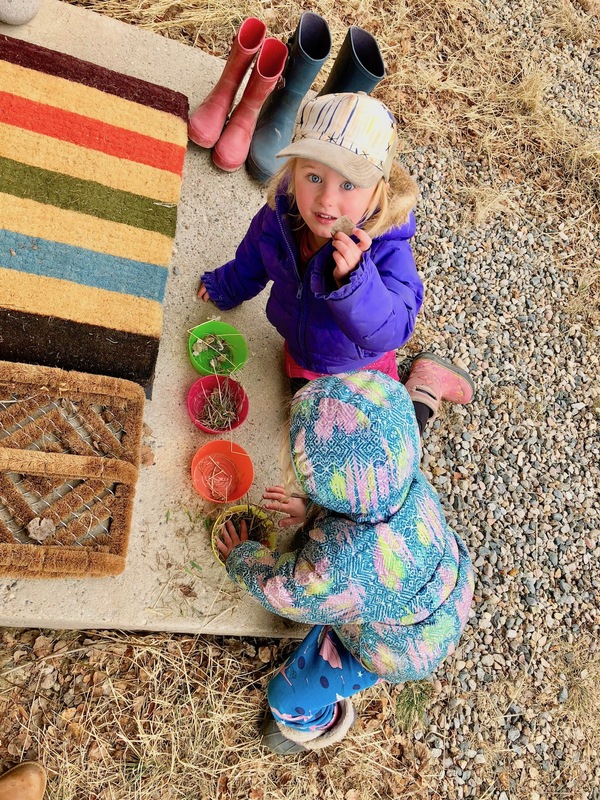 Talk about spring, what birds the children might have seen, if they know where most of the birds went during the winter, where birds live, what materials they use for their nests etc. We’ve also talked a lot about what special abilities different birds have (e.g. especially good eyesight in the dark, sharp beaks, huge wings, the ability to turn their heads all the way around, some birds are good at memorizing sounds, swimming, diving etc.). 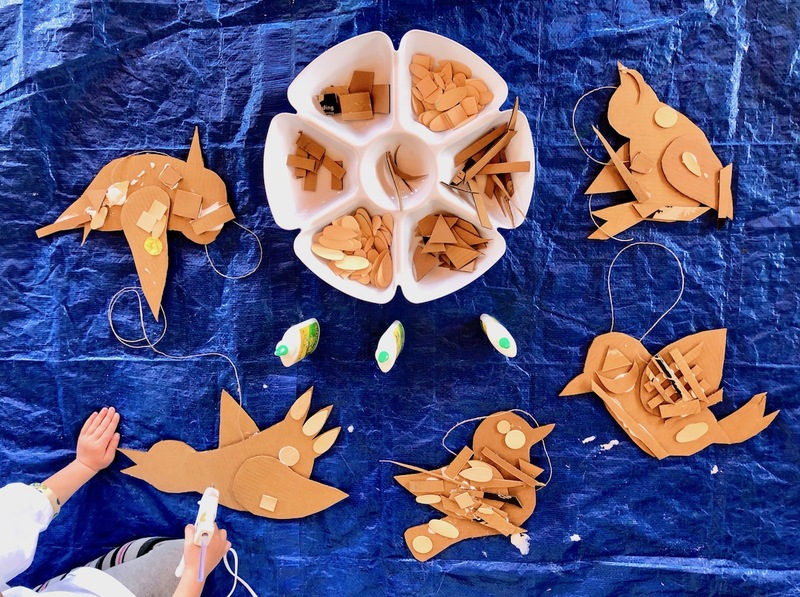 Once the children have some ideas and can imagine how they would want to look like if they we were a bird, invite them to personalize the simple precut birds by attaching smaller cardboard shapes with school glue or a low temp glue gun. 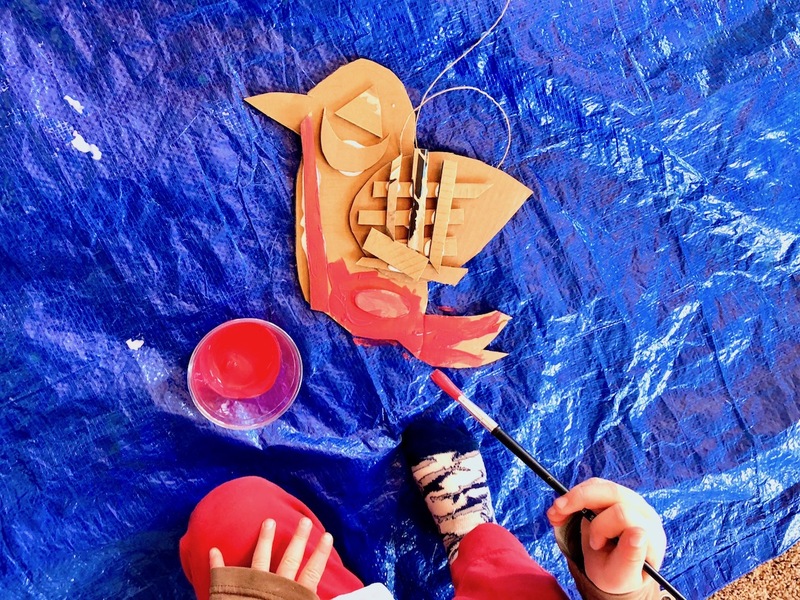 When the children are finished arranging and collaging the cardboard shapes into a bird, invite them to add paint. 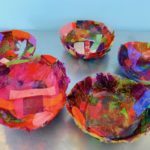 Simply provide cups filled with tempera paint, and put a paintbrush in each color. 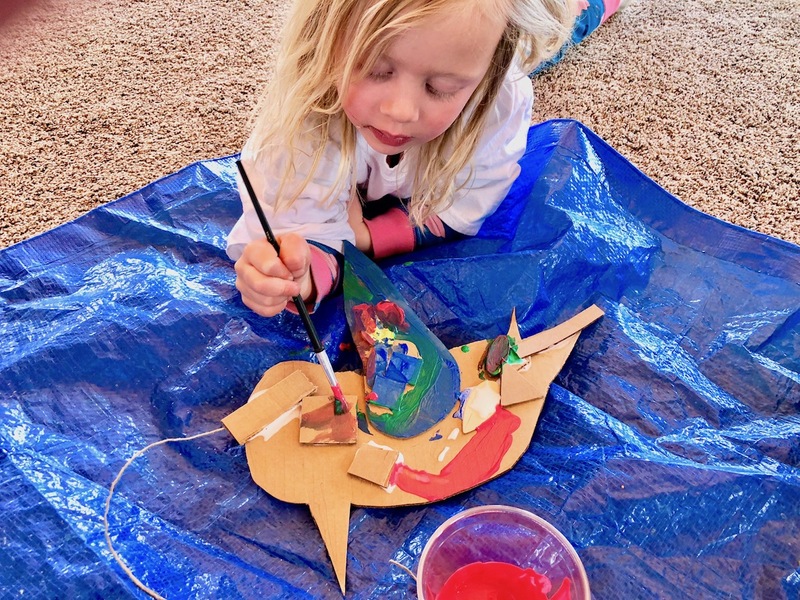 Remind the children to take one color at a time, to leave the paintbrush with the cup and to put the colors they’re done using back to the others before taking a new one (so that everyone can reach the colors). 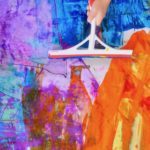 Discuss how we can ask each other kindly for turns with the colors, or set a timer to share, to work out a trade or that it’s ok to say “I’m using this color right now, you can have it when I’m done!”. 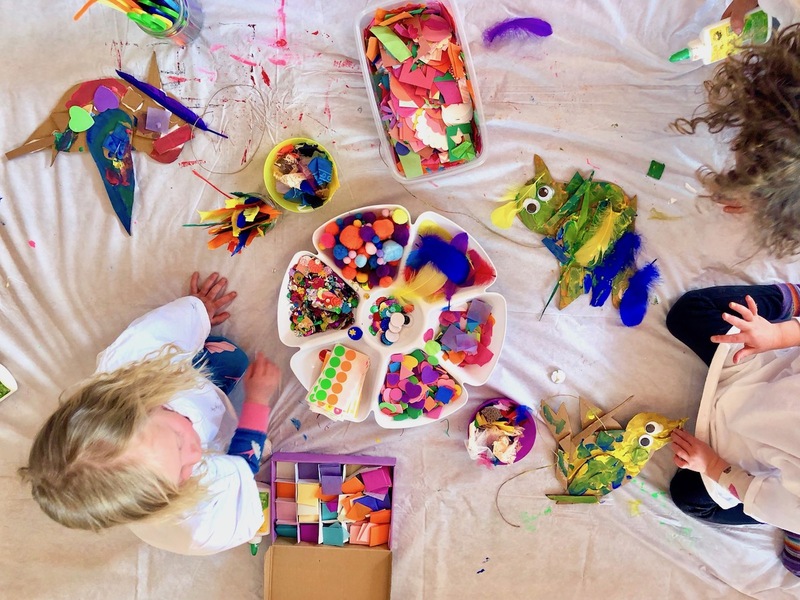 Young children love exploring a variety of materials. 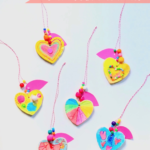 Let them choose from an array of materials to decorate their bird characters. 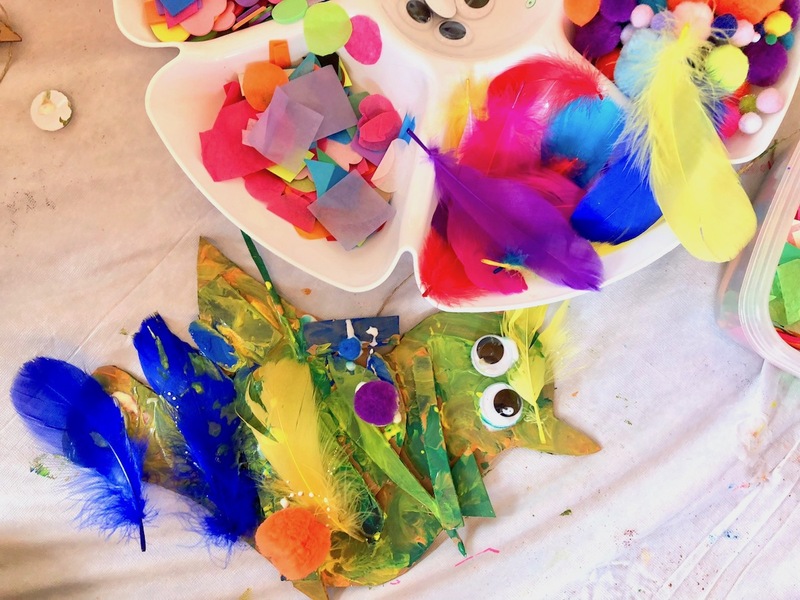 Set out containers with choices of feathers, cut tissue paper shapes, pompoms, glitter, fabric scraps, pipe cleaners, googly eyes, paper with scissors etc. 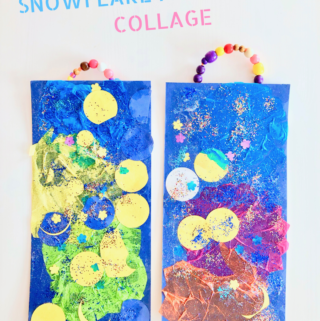 Show the children how to squeeze a little bit of glue onto the cardboard and press the collage materials on it. We glued and added our decorations while the paint was still drying which seemed to work out fine. 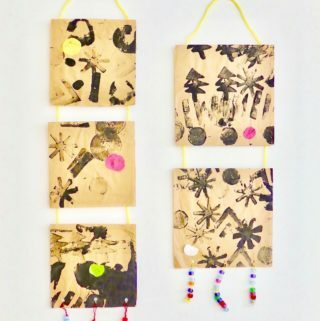 Decide if you want to hot glue your bird on a wooden dowel so the children can play with it as a puppet, or string the birds to a wooden stick to hang on your wall which is what we did. 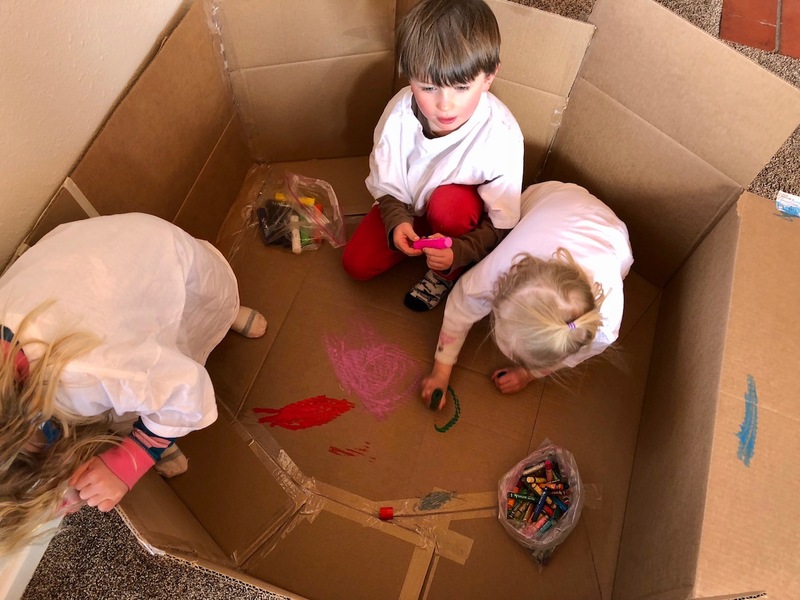 Tape some old cardboard boxes into the shape of a bird’s nest and pretend to be birds. 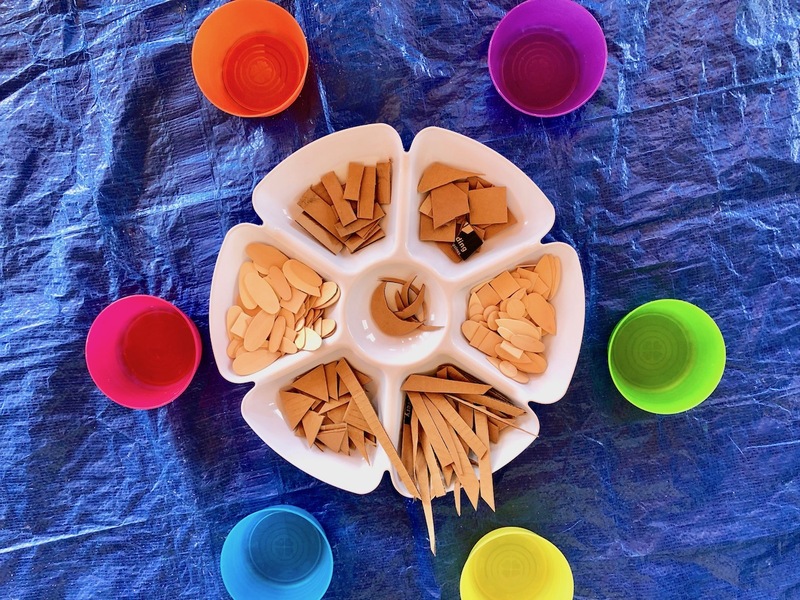 You can go on a scavenger hunt to look for natural materials birds might use to build their nest with (hot glue them to your cardboard nest), or you could pretend to build a nest with materials such as shredded paper or newspaper strips to resemble sticks, mud and grass. If you’re looking for more instructions on how to build a bird’s nest, take a look at this sweet bird nest from Mother Natured.